The Global Forum on Transparency and Exchange of Information for Tax Purposes is a multilateral framework for tax transparency and information sharing, within which 150 jurisdictions participate on an equal footing. 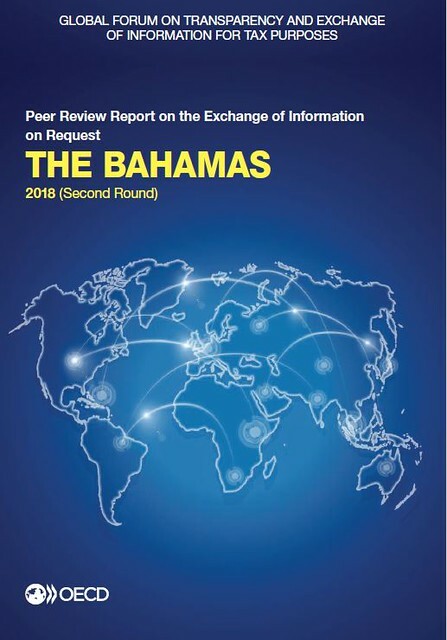 The Global Forum monitors and peer reviews the implementation of international standard of exchange of information on request (EOIR) and automatic exchange of information. The EOIR provides for international exchange on request of foreseeably relevant information for the administration or enforcement of the domestic tax laws of a requesting party. All Global Forum members have agreed to have their implementation of the EOIR standard be assessed by peer review. In addition, non-members that are relevant to the Global Forum’s work are also subject to review. The legal and regulatory framework of each jurisdiction is assessed as is the implementation of the EOIR framework in practice. The final result is a rating for each of the essential elements and an overall rating. The first round of reviews was conducted from 2010 to 2016. The Global Forum has agreed that all members and relevant non-members should be subject to a second round of review starting in 2016, to ensure continued compliance with and implementation of the EOIR standard. Whereas the first round of reviews was generally conducted as separate reviews for Phase 1 (review of the legal framework) and Phase 2 (review of EOIR in practice), the EOIR reviews commencing in 2016 combine both Phase 1 and Phase 2 aspects into one review. Final review reports are published and reviewed jurisdictions are expected to follow up on any recommendations made. The ultimate goal is to help jurisdictions to effectively implement the international standards of transparency and exchange of information for tax purposes.